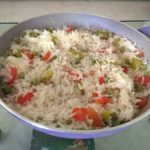 Vegetable pulao is the most common dish that is served along with other dishes in the main course in India. It is quite easy to cook rice and it does not take more than 15 minutes. 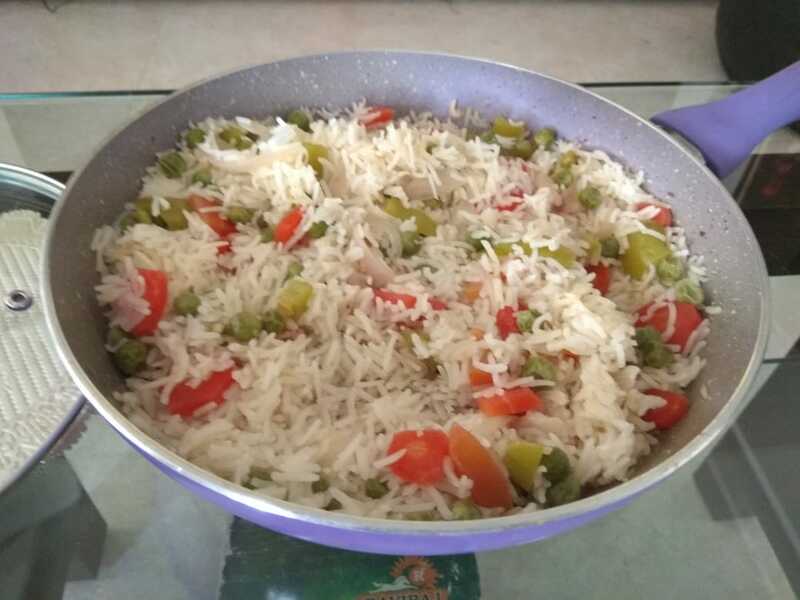 Vegetable rice can be cooked in 15 minutes. You can add all healthy and your favorite vegetables to this dish and serve it hot with curd or gravy. Put two table spoon oil in a pan and heat it for a minute. Now add cumin seeds and heat for another minute. Add chopped onion and tomato and heat till onion gets golden brown in color. Now add chopped capsicum, carrot, and green peas and heat the mixture for three to four minutes. Add washed rice, salt, and chilly powder to the mixture and stir well. Add two glasses of water to the mixture and stir well for one last time. Heat the mixture till you see small pores on the top layer. Your vegetable pulao is ready to eat. Serve it hot with curd. Vintage House Restaurant on How to check if rice is cooked properly or not?